Do you know where your tea comes from? 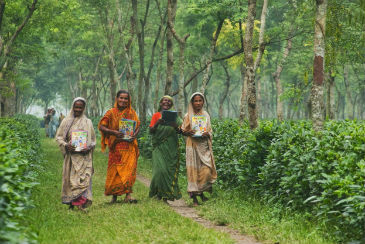 The Teatulia® Cooperative, or Kazi Shahid Foundation (KSF), was started as a dairy cooperative to support Bangladesh’s first and only organic tea garden, Kazi & Kazi Tea Estate Ltd., otherwise known as the Teatulia Tea Garden. 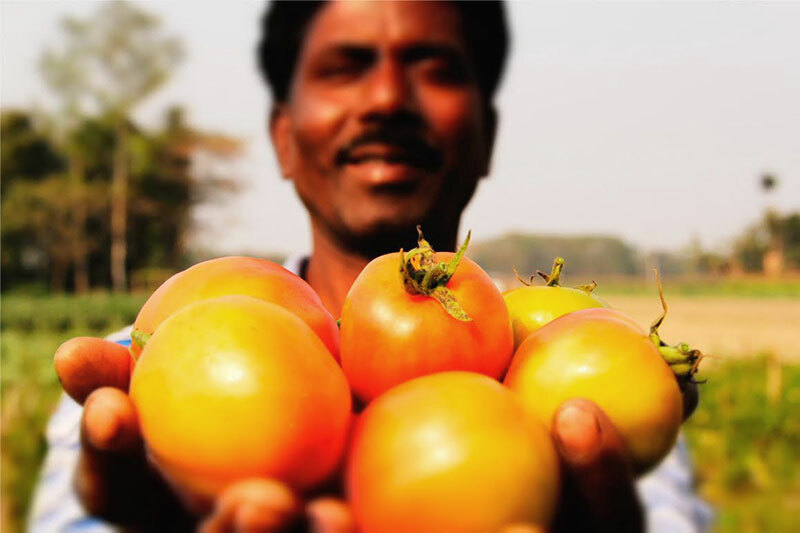 Located in the very northern tip of Bangladesh, the garden was founded in 2000 by Kazi Shahid Ahmed, Chairman of the Gemcon Group with the express goal of improving lives in this remote and neglected region through enterprise. 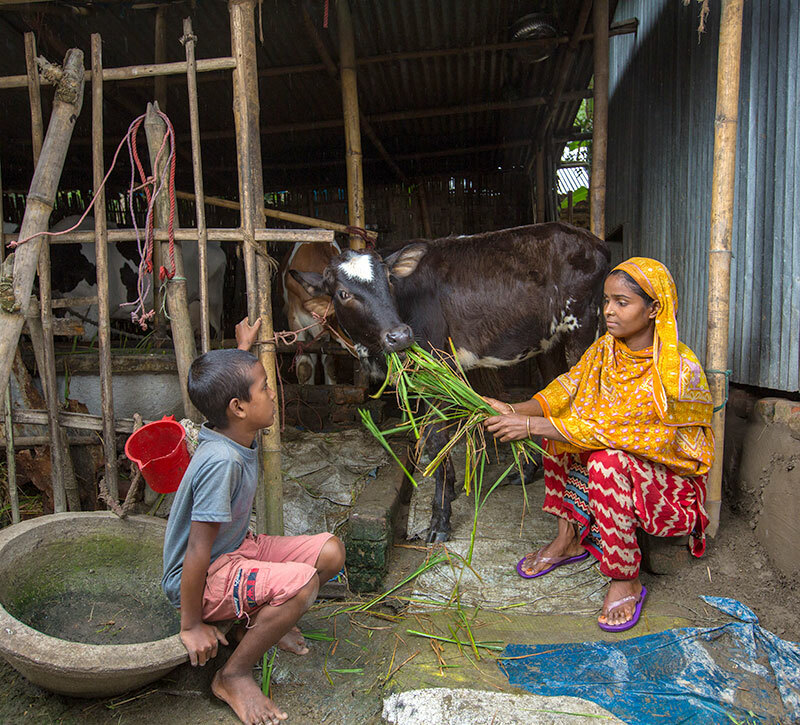 Today, KSF provides innovative education, health, and cattle-lending programs that provide a bright future for thousands of Bangladeshi families. Our KSF cattle-lending program is based on an innovative approach— lending its co-op members cows instead of cash. 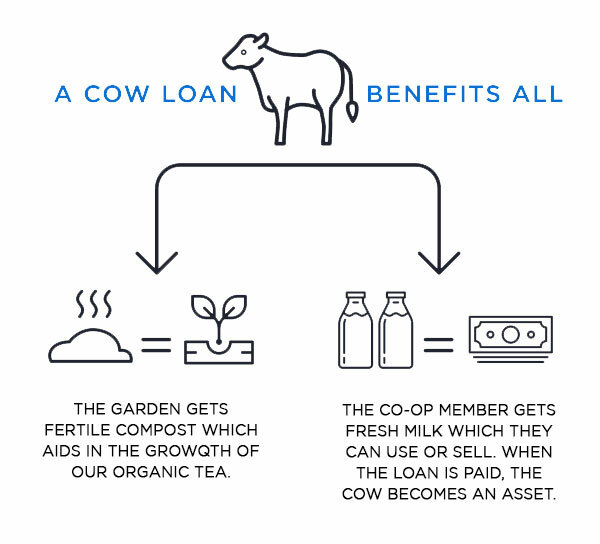 Co-op members are lent a dairy cow that can be paid back by selling its milk and dung. Members are required to sell one liter of milk plus 20 to 40 pounds of dung per day, while keeping the rest for their personal use. This easy "barter" form of payment takes the pressure off of cash payments, making the co-op a practical alternative to other micro-loan programs. Most members manage to pay off their cow within two to three years. Best of all, they can keep any calves the cow bears during the re-payment period. The cattle-lending program has made a significant impact on the local economy since its inception in 2000. As of 2014, more than 1,700 co-op members take part in the program. Almost $500,000 in cattle loans has been distributed to the community. Dairy farming has increased employment by 450% and individual co-op members’ incomes by 300%. The program has also increased monthly milk production by 450% and cow dung for soil fertility by 828%. 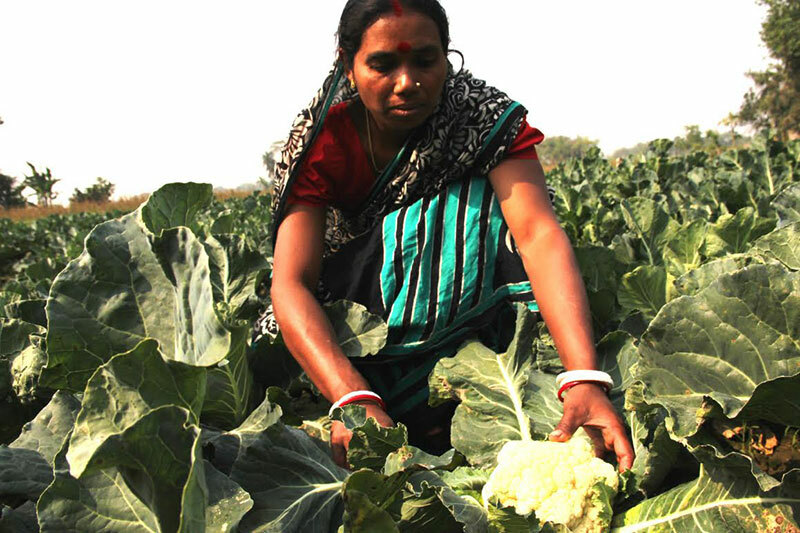 The Kazi Shahid Foundation has introduced organic vegetable farming to the people of Bangladesh. KSF provides the resources, financial capital and knowledge necessary for the community to grow organic food. Not only does this rid the garden workers and tea of harmful pesticides, but teaches the members valuable skills. This allows co-op members to not only feed their families but also strengthen their socio-economic condition through earning a profit on their crops. Members are given comprehensive training comprised of organic farming fundamentals, farm design and practical demonstrations. The co-op then helps vegetable farmers establish a direct connection to consumers by cutting out the middleman. Program facilitators collect vegetables directly from co-op members and supply them to the largest market in the Northern Bangladesh region, the Meena Bazar. The KSF learning center, Kazi Shahid Shikhan Kendra, is located in the Panchagarh district of Bangladesh. The goal of the learning center is to create a warm, comforting, and stimulating environment for children that will encourage them to learn. The curriculum at the learning center provides basic literacy and mathematical skills to impoverished children who do not have access to a formal education system. KSF strives to alleviate adult poverty by providing access to literacy programs. Through literacy training, students are able to gain the skills necessary to advance to secondary, undergraduate, or vocational training that will make them more employable in the future. The KSF literacy program educates female laborers working in the gardens twice per week during paid working hours. As of 2014, 225 women have completed the literacy program. More than 117 girls have completed a secondary school (high school) certificate and all of them entered local colleges for a higher education degree. In fact, more than 214 students total (both female and male) have earned high school graduate degrees. Most move on to attend local colleges for bachelor of arts or bachelor of communications degrees or technical schools for vocational degrees inveterinary science, paramedic training, or light engineering. Understanding the economic feasibility and potential of tea plantations, KSF started an organic tea plantation in the region of Panchagarh to encourage local farmers to grow organic tea. A total of 44 members are now engaged in organic tea farming. As of 2014, the project covers more than 900 acres of land and will increase every year. The health and wellness of co-op members is a top priority for KSF. By distributing safe hygienic materials, herbal and medicinal plants, and providing health and recreational activities for youth, KSF is able to alleviate common health problems that once plaguedthe area. Vermin compost — or the excrement of the earthworms—is an excellent soil enhancer and bioactive fertilizer for organic farming. KSF gives training, provides necessary solutions, and encourages vermin composting to its co-op members. The University of Liberal Arts Bangladesh (ULAB) Center for Sustainable Development and KSF are working together to build a bio-gas plant among our co-op members. This plant will use cow dung to power a closed-loop energy system. KSF adds value to raw milk by producing a wide variety of processed dairy products. This expands the consumers’ access to dairy and ensures high-quality organic dairy products with higher returns above base price of raw milk.